Wellness Patrol: What actually is the Mediterranean diet – and does it work? Hard to define, but famously good for us, this way of eating is far from universally followed even in the countries it came from. It is said to be better at lowering cholesterol than statins, and able to prevent dementia and heart disease, and will not make you fat. Anything that good for you might be expected to smell foul and come in a medicine bottle, but the Mediterranean diet is generally considered to be delicious, except by those who hate olive oil. It is a potential answer to the obesity crisis crippling healthcare systems, but few understand exactly what the diet is and most of us do not follow it, including increasing numbers of people who live in the Mediterranean. The scientist Ancel Keys and the cookery writer Elizabeth David, two of the pioneers who helped open the eyes of northern Europeans to the wonders of the Mediterranean diet, must be turning in their graves. We are constantly presented with paeans to the Mediterranean way of life and were faced with yet another this week, when a study presented at a heart disease conference in Rome claimed that those who ate a diet rich in vegetables, nuts, fish and oils were 37% less likely to die early than those who ate red meat and butter. 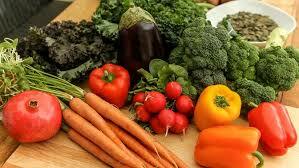 But ask anybody what the Mediterranean diet actually is and few will give you the same answer. It is not a weight-loss regime such as the Atkins or Dukan diets. It is actually not a prescriptive diet at all, rather a pattern of eating. In spite of the name, it has less and less in common with the way that many people in southern Europe live and eat today. In the Greek tavernas, thronged with British holidaymakers in the summer months, the Mediterranean diet so highly regarded by health experts can turn into a lamb kebab with rice and chips, washed down with lager. Pasta, which has historically been a smaller primi (first) dish, overflows the enormous bowls in which it is served in many Italian restaurants. The French have finally lost the battle against the Big Mac. The Mediterranean diet is based on a rural life where people ate what they grew, which is fast disappearing. 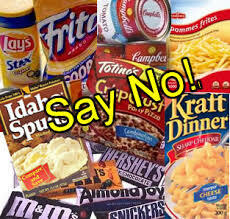 The UN has recognised the diet as an endangered species. In 2013, Unesco listed the Mediterranean diet as part of the intangible cultural heritage of humanity in Cyprus, Croatia, Spain, Greece, Italy, Morocco and Portugal. Even health experts and nutritionists differ on the detail of the Mediterranean diet, but the principles are fairly clear. It is about an eating style based on large amounts of fruit and vegetables, legumes such as beans, lentils, peas and peanuts, whole grains and especially olive oil. Fish and seafood are part of it, but their consumption varied in the past according to how close people lived to the sea. Chicken, eggs and small amounts of dairy, such as cheese and yoghurt, are there in moderation, but red meat and sweets would rarely be consumed. The diet includes a small amount of wine with meals. Pasta, bread and potatoes are variables from one region to another. It is quite a high-carbohydrate diet, which was fine when people were physically active on farms or fishing boats. Notably, none of this comes in a box. The supermarket spaghetti bolognese does not count. The Mediterranean diet has no preservatives. It is freshly picked, plucked and cooked. 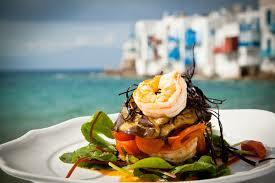 But there is more to the Mediterranean diet than the food on the plate. Unesco waxes wistfully lyrical on a whole idealised lifestyle that may appear to have little to do with the modern Mediterranean as we know it. “The Mediterranean diet involves a set of skills, knowledge, rituals, symbols and traditions concerning crops, harvesting, fishing, animal husbandry, conservation, processing, cooking and particularly the sharing and consumption of food. “Eating together is the foundation of the cultural identity and continuity of communities throughout the Mediterranean basin. It is a moment of social exchange and communication, an affirmation and renewal of family, group or community identity,” the citation says. Shared family meals, it is now widely understood, help people eat well and avoid excess, while the TV dinner habit is linked to obesity. Keys, a Minnesota academic, started to investigate the health benefits of Mediterranean eating in the 1950s, after a visit to Naples. He was concerned about the large numbers of men dying from heart attacks in the US. An Italian colleague had told him that the heart attack rate among labourers in the Neapolitan area was low. It led to the Seven Countries Study, an enormous project that continues today. The first pilot studies were set up in Nicotera, a village in Calabria, southern Italy, and in six villages on Crete. The study compared middle-aged men with different lifestyles and diet: on the US railroads, in the villages of North Karelia, Finland, where many men died as a result of heart disease, in the Netherlands, in Italian villages, but also workers on the railroads in Rome, in Crete and Corfu, in villages in Croatia, and in farming and fishing communities in Japan. It uncovered a link between eating high levels of saturated fat, found in red meat and dairy products, and cholesterol in the blood, and heart disease. The scientists could not prove that saturated fats were the cause, but the finger of suspicion was firmly pointed, leading to changed dietary guidelines in the US and the eventual craze for low-fat everything, with the resulting rise and rise of sugar to make processed food and drinks taste better. Keys has more recently been heavily criticised for opposing John Yudkin, who argued in the 1970s that sugar, not fat, was the problem. What did not happen as a result of the study was the wholescale adoption of the Mediterranean diet, although Keys, who died aged 100 in 2004, promoted it in popular books and practised what he preached. David, a debutante, adventurer and lover of the Mediterranean sunshine, had an influence with her articles and books, describing dishes with aubergines, courgettes and other exotica that were all but unavailable in northern Europe in the 1950s and 60s. But the era of convenience food and the sheer quantity that became available, whether in supermarkets or from takeaways, had a greater impact on working populations. Nonetheless, Sanders says northern Europe is generally healthier than the Mediterranean regions. Things have changed. “That sort of diet was accompanied by quite a lot of physical activity. There were moderate intakes of wine, but it wasn’t huge: it was about 300ml or 400ml at most a day. And these guys, particularly in Crete, which was looked at, were pretty active and were quite thin. “If you look at a follow-up of their kids, the second generation in the Seven Countries Study, they tend to be overweight and eating something quite different – a lot more deep fried food. The equivalent of Colonel Sanders really. And what you are seeing in southern Europe, Greece, is one of the highest increases in rates of cardiovascular disease, so there’s been a switchover. Greece topped the OECD child obesity league published in 2014, using data from 2010, with 44% of boys aged 5-17 overweight, followed by Italy on 36%. Both countries had higher rates than the US and Mexico. 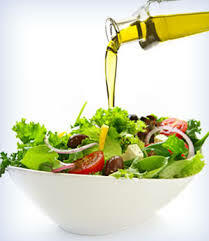 Studies continue to show the health benefits of the Mediterranean diet. In June, the respected Predimed study in Spain found that overweight and obese people, with heart disease and diabetes, who ate a Mediterranean-style diet high in vegetable fat, because of additional olive oil or nuts, did not gain weight, compared with people on a low-fat diet. There is no doubt that the Mediterranean diet is good for you. But shifting the habits of nations to adopt, cook and eat it regularly in societies dominated by packaged food manufacturers is quite a task.